Spanish personal finance app Fintonic is now valued at €160 million following a €19 million investment round, Jane Connolly reports. 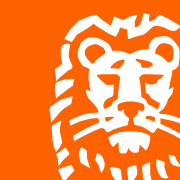 The round was led by ING Ventures, which owns 22% of the share capital and supported by other shareholders, such as PSN Group. The personal loan platform has a 100% digital process, with integrated offers from ten entities, providing loans of up to €40,000 with an application process that takes less than three minutes. Fintonic has 700,000 active users, having achieved a rise of 74% in the last 14 months, in tandem with a quarter-on-quarter revenue increase of 45%. If that growth is sustained, the company will break even in Spain in the next six months. Fintonic now operates in Mexico and has also become Chile’s first finance app. The company has extended its own financing capacities for the platform, with a bond issue of up to €70 million, listed on the MARF (Alternative Fixed-Income Market) and approved by the Spanish CNMV (National Securities Market Commission). The company has also collaborated with Amazon.es on a “first of its kind in Europe” credit agreement, obtained an insurance broker licence from the General Directorate of Insurance, and requested AISP and PISP licences from the Bank of Spain within the framework of the PSD2 EU Directive.